My wife has a premium, custom wreath business. While she loves taking hours to hand-craft each wreath, she hates standing in line at the post office to mail each wreath. We’ve been exploring a variety of mailing options to save her time and money. 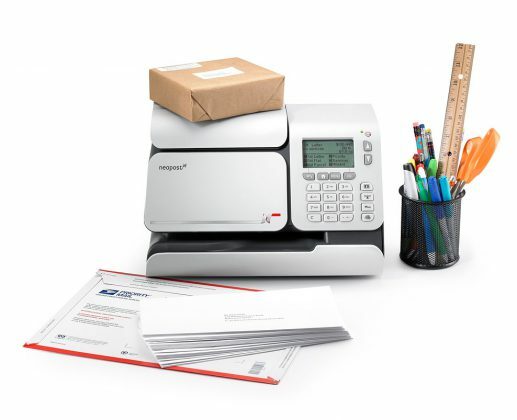 I'm excited to partner with Neopost and share about the Neopost IS-280 iMeter™ Postage Meter, an all-in-one mailing solution that comes with a 2-lb. scale integrated into the meter. Read below for more information and to see how you can try it for FREE. Instead of going to the post office, having them weigh your package and adding postage (only to do it again and again), with the Neopost IS-280 you can easily select the correct postage rate and class for your mail and packages all without leaving your office. With the Neopost IS-280, there are NO stamps to print. You can print postage right on an envelope, or print your postage and affix it to your package. You can also manage your account 24/7 via an online customer portal. Having to mail a letter, only to realize that you’ve run out of stamps is a pain. It’s also a pain to go through the complications some mailing solutions vendors make you go through to use their services. Neopost is easy to setup on your own or you can call them to get help. As my wife expands her wreath business, and as you expand your business, we’re always speaking about ways she can reduce her costs, increase her profits and save time. Its solutions like the Neopost IS-280 that will help do this. Users pay 6% less to send First Class mail compared to using stamps. The Neopost IS-280 iMeter™ also gives you access to US Postal Service commercial discounted rates using NeoShip, which can save you up to 11% on postage. Neopost customers can also save up to 26% on FedEx shipping. As a business owner or manager, the TOOLS you use are so important to your day to day productivity and the overall efficiency of your office. As you seek to grow your business in 2018 think what tools, solutions and services you need in your business to SCALE and GROW. When I evaluate the technology (and other solutions) I want to have in my business, I ensure that it adds VALUE to my business and doesn’t complicate it. Neopost’s IS-280 was built from the ground up to be easy to use, low cost and perfect for your home office, small business or mail room. With the Neopost IS-280, postage is available 24/7 and the Postal Expense Management app makes it easy to track postal expenses. If you’ve NOT sent more mail because it was a pain, the Neopost IS-280 might just give you a reason to start sending more mail to clients or others. While Twitter, email and Facebook notifications generate so much digital “noise”, a nice thank you card, paper newsletter is a great way to connect with clients and boost sales in 2018. Neopost is currently offering our readers the opportunity to get up to 6 months free. Just click on IS280.com/hustle, enter your zip code to see if you qualify, then enter promo code HUSTLE to lock in 6 months free! After 6 months, you’ll pay only the low monthly rate of $19.75 guaranteed.